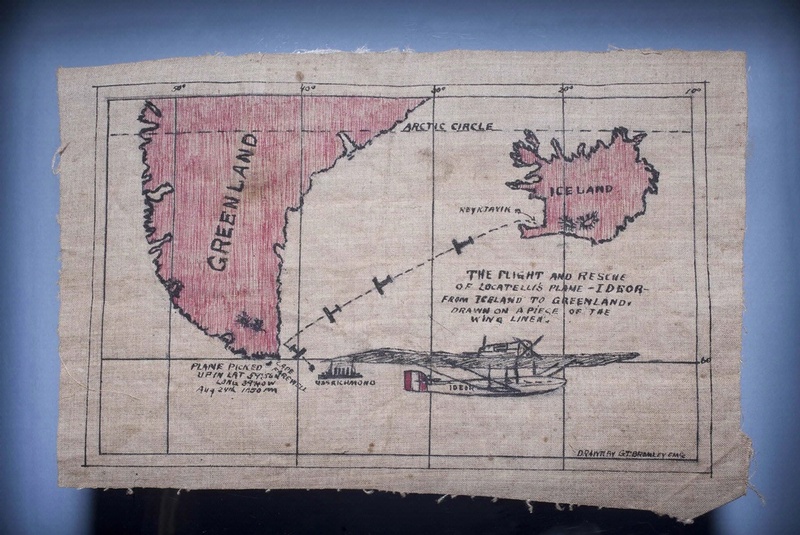 Electrician’s Mate 2nd Class G. T. Bromley turned this piece of fabric into a record of the Italian attempt at a round-the-world journey. Several countries attempted round-the-world flights in 1924. An Italian crew in a Dornier flying boat left Pisa in July, met the American world flight in Iceland, and joined them on their North Atlantic crossing. The Italians ran out of fuel 120 miles short of Greenland and drifted for three days until the USS Richmond rescued them. Before the flying boat was sunk, Richmond sailors took parts of it as souvenirs. National Air and Space Museum, Smithsonian Institution. Find out more about Souvenir from the Italian World Flight.